If you know what your social media goals are, then you’re ready to choose the right metrics to measure success. The next step in proving ROI is having the knowledge and tools to do that efficiently. That’s where social media analytics come into play. Social media analytics is about gathering data from your accounts and campaigns, and then using it to track and improve performance. In this guide we’ll look at the various analytics that each of the major networks offer. And then we’ll recommend a few of the best tools to help you easily measure performance across multiple channels. 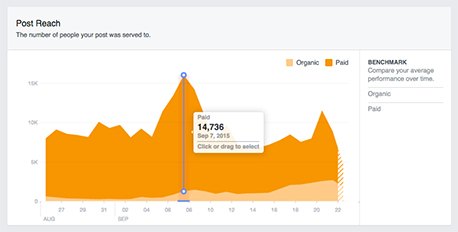 Marketers who run a Facebook Business page have access to the comprehensive Facebook Analytics dashboard. Developed with insights from Facebook’s two billion users, the platform offers recommendations on how to reach the largest audience on social media. Once you’ve clicked on the business page you want to monitor, the Insights tab is your go-to place for all things analytics. The overview section offers a summary of the page’s performance. Here you can choose to a time range of one day, one week or the last 28 days. Promotions: If you’d like to boost a few ads, but can’t decide which ones, this section will help you identify the posts that might be worth boosting. You’ll also find advice on how to zero in on the right target audience. Followers and likes: If one of the goals of your campaign is to increase the number of people who follow or like the page, you’ll find this information in the Follower and Like tabs. 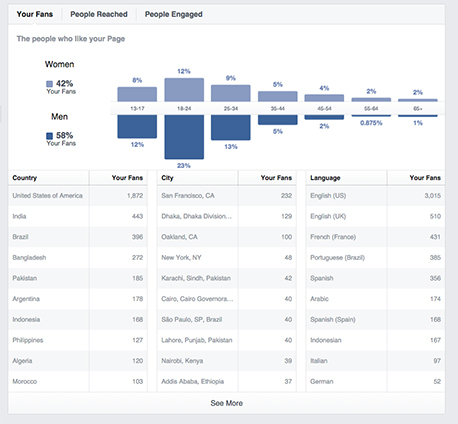 Here you’ll be able to analyze the page’s popularity over time, and see where the new Follows and Likes are happening. Reach: On Facebook, reach measures the number of people who had any posts from your page appear on their screen. If someone decided to hide posts from your page, you can find that info here, too. Page views: Here’s where you’ll find where your page traffic is coming from. You can also measure the views for each section page, including About, Photos, Home, etc., which will help you understand what areas are most popular. Posts: The posts tab shows you how your page posts are performing, and also offers insights on the best times to post and the types of posts that are most successful. Videos: If your social media strategy includes video content, here’s where you’ll be able to track the top performing videos, which are ranked by how many minutes they were viewed. You can also drill down to see how many minutes were viewed on each video. People: Learn about your fans and follower demographics, including everything from location, gender, and language information. Depending on your business and objectives, other stats that Facebook provides include the number of check-ins to your page, your average customer response time, and the number of people who called your business directly from the page. The analytics dashboard provided by Twitter offers a month-by-month summary of your account’s performance. Captured here is an overview of your follower count, tweet impressions, profile visits and mentions. Monthly summary: Highlights from each month include your account’s top tweet, top follower and top mention. This is a good place to get a snapshot of your best performing content. Tweets: In the Tweets tab, track the engagements and impressions on your tweets over a selected period. If you’ve promoted any tweets you can track those analytics here, too. 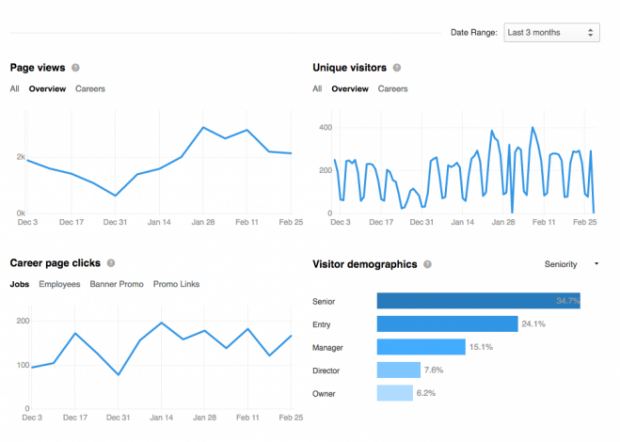 Audiences: Keep tabs on your audience in this section of the analytics dashboard. This is where you can learn about your audience’s demographics and thematic interests. You can also add a comparison audience to see how your followers differ from other users. Read more about Twitter analytics here. 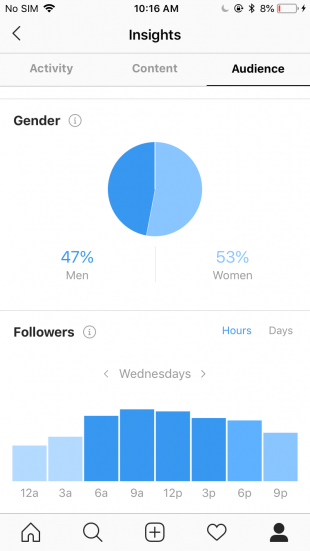 Instagram Insights are available for Business Profiles and accounts with a high number of followers. 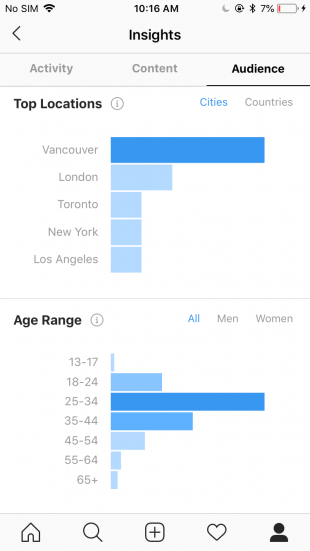 In addition to analytics on your content, Instagram Insights will also provide information about who your followers are, when they’re online, and more. Posts: In the posts tab you can analyze the likes and comments on each image, and also the number of unique accounts who saved your post. Actions: In the actions section you can see which posts inspired users to visit your profile, follow you, and click on your website. Discovery: Here you’ll find the percentage of accounts that saw your post but aren’t following you yet. If part of your marketing strategy involves growing your Instagram audience, these will be relevant insights. Snapchat has been upping its analytics game of late, especially when it comes to delivering insights on paid content. Snap Ad Reporting lets marketers monitor campaigns in real time, and even tracks whether snaps drove viewers to your store. Unique views: Find out exactly how many people are engaging with your snaps. Screenshots: Some marketing campaigns may have the goal of getting snappers to take screenshots. Even if it isn’t a direct goal, knowing that users felt compelled to take a snapshot of your content is a strong metric. Completion rates: Attention spans are short, even when it comes to snaps. Here’s where you’ll be able to tell if you’ve engaged your audience from start to finish. Fall-off rate: If your completion rate numbers aren’t where you want them, this metric will help you pinpoint precisely where your audience lost interest in your content. Drill deeper with Snapchat analytics here. For businesses on the Pinterest Analytics platform, marketers can monitor what pins people like, how much traffic goes to your site, and what people are pinning from your website. Pin Stats: Figure out which pins are gaining the most traction with an overview of Pin performance. Impressions: Knowing how many times your Pin has shown up across Pinterest is a good metric to measure against Closeup and click metrics. If impression numbers are high but the others are low. On the flipside, if clicks and Closeups are high but impressions are low, you may want to promote your pin. Closeups: This may be the best measurement of engagement with your content. Closeup analytics indicate how many users have tapped your pin to have a closer look at your content. Clicks: If the goal of your social media strategy is to drive traffic to your website, this will be an important campaign performance measurement. This will tell you how many people looking at your pin have clicked through to your website. Saves: For brand campaigns with the objective of creating valuable content for the audience, saves is a crucial metric. It tells you how many Pinners have plans to reengage with your content at a later date. Company Page analytics on LinkedIn allow marketers to monitor metrics and trends across specified time periods. Visitors: Monitor traffic to and from your page and learn more about your visitor demographics in this section. Updates: If your social media strategy involves posting content on LinkedIn, this section will allow you to track the reach of each post and analyze engagement. You can also track actions on each post, such as how many followers or profile visits you gained. Followers: Here you can monitor follower trends over periods of time, and investigate whether they were acquired organically or through paid content. You’ll also demographics about your followers in this section, including industry and seniority data. Marketers can also benchmark audience growth by comparing followers with other companies. Now that you know which metrics to track on each platform, it’s time to add a few tools to your social media toolbox. Here are a few ways to elevate your social media analytics reporting game. 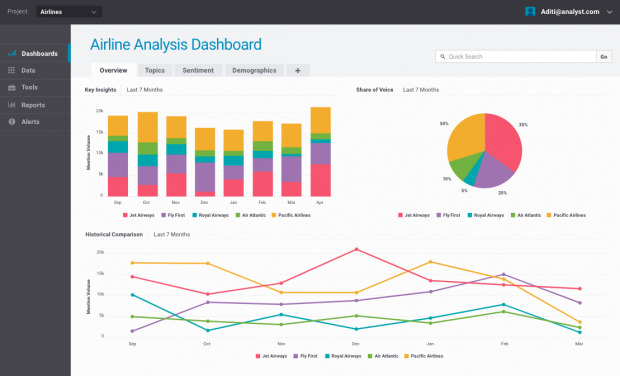 Hootsuite’s social media analytics tool allows marketers to measure the success of their campaigns in real-time. 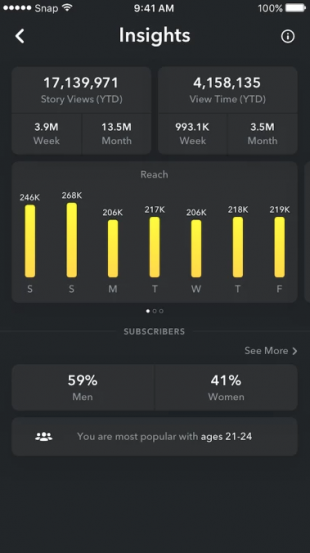 With easy-to-use dashboards and the option to create an unlimited number of reports, marketers can analyze Facebook, Twitter, and Instagram metrics in one place, with metrics like Posts, Followers, Engagement, and Traffic. You can start by requesting a demo or signing up for a 30-day trial. 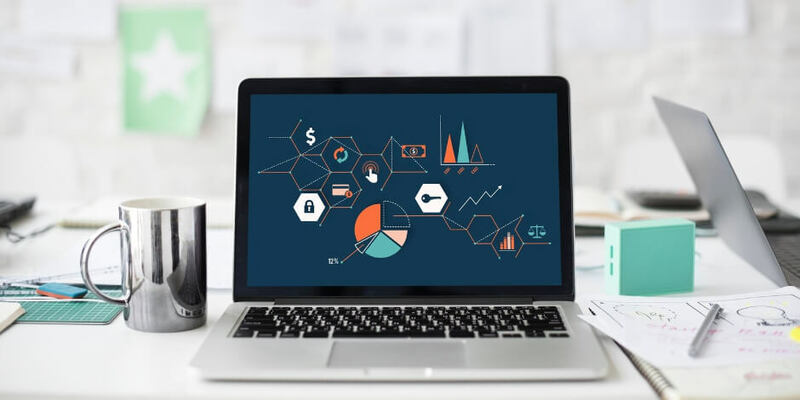 If social listening and benchmarking against competitors is key to your social media strategy, then you may want to consider Brandwatch Analytics. The platform aggregates data from Facebook, Twitter, Instagram, blogs, forums, news and review sites and more. Queries on Brandwatch are structured around four steps: search, segment, analyze, and action. Once a search is created and data has been captured, the platform can analyze sentiment, identify influencers, and arrange data with up to 50 filters. Hootsuite Impact goes beyond vanity metrics – likes, retweets, favourites, etc. –and into a deeper analysis of your social media performance. The tool measures the effect your social media strategy has on your business, and provides you with the recipe to recreate successful campaigns again. With Hootsuite Impact, marketers can also benchmark against competitors, measure conversions by social channel, and interact with data in real time. Learn more about Hootsuite Impact. If budgeting for tools is an issue, Talkwalker offers social media marketers free access to a social search monitor and topic alert system. Through social listening conducted on Facebook, Instagram, Twitter, Flickr, Google+, YouTube and more, the free platform allows you to get a snapshot of your brand’s social footprint. Find out more about Talkwalker. Analytics meets machine learning with Unmetric. Powered by Xia, the company’s five-year-old artificial intelligence tool, more than 12 billion interactions have been tracked across 783 million pieces of brand content. Unmetric’s social media analytics platform, Analyze, collects data from all major social media platforms, and allows marketers to download automated reports with the click of a button. Among its other features, Unmetric’s Analyze provides several ways for marketers to compare accounts and campaigns with competitors. 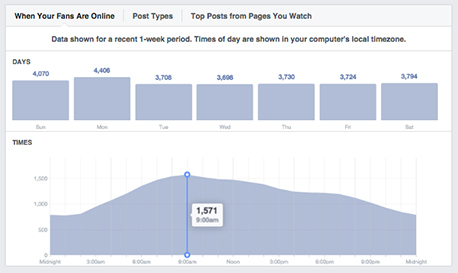 The Promoted Post Detection tool lets you see which social posts competitors are boosting. The Competitive Intelligence section includes share of voice analysis, industry benchmark reporting and helps you identify the leaders among your competition. The Hootsuite Insights tool rounds out the social media marketer’s toolkit with features that allow you to gauge the social sentiment around your brand and identify when trends are taking off. The platform pulls from more than 100 million data sources, providing a rich data set for deep insights. One of the platform’s standout features is the Signal alert tool, which lets you know if a prominent influencer is expressing something negative about your brand. This allows social media managers to respond quickly and resolve situations before they risk spiraling into viral smears. Find out more about Hootsuite Insights here. There are lots of social media analytics tools out there, but these are the ones we’d recommend starting off with. If you’re looking at others, just make sure you settle on a tool that fully integrates with all your chosen platforms, is easy to use, and is customizable to the level of reporting that you need. Gain insight into your social media efforts with Hootsuite. Refine your strategy, get to know your audience, and maximize your return on investment. Try it free today.